In 1940 Hitler invade Holland the Netherlands, the Jews were searched out and taken to concentration camps for extermination. Where was God in all this you may ask! My answer to you would be, "what possess people to carry out such inhumane acts, has nothing to do with God but the devil"
We decide our destinies by the way we live our lives as Christians. This is where my story starts when talking about the Ten Boom Family. My mother talked about Corrie Ten Boom her story was one of love and forgiveness, Corrie traveled the world sharing her testimony about her time in Ravensbruck concentration camp. Betsie her sister and their Father Casper were taken from their shop, and imprisoned for having too many 'food stamps'. There real crime was for hiding the Jewish people but they had no evidence to prove this 'crime. It may seem ancient or an old fashioned practice which is so out of date or inconceivable to some people that a race of people could be killed just because of their nationality but these are historical true facts. I visited the room where the Jews were hidden,. Its almost unbelievable that people were cooped up in such a small space, in the dark being conscious that any noise they may could mean their death. In prison Corrie Ten Boom developed a much deeper relationship with God, she had to totally surrender, her sister Betsie stated that even the 'lice' have a God purpose, the reason being was that they protected them from molestation and abuse from the guards. The Hiding Place is a great historical film to watch you will see forgiveness in action, and the true meaning of Christianity. One of my favorite saying in the film came from Mr Casper Ten Boom when realizing that not all who claim to know Christ really do, He said " If a mouse lives in the cookie jar it doesn't necessarily make him a cookie". Ten days after Capers Ten Boom incarceration died and just days before Corries release on 16 December 1944. This is a good film to watch learn about what it was like for people to killed for there culture and pray that it never has to be part of us as humans. This is a film based on "Prayer" a young boys prayer which he puts into a letter hence the title. This story follows a young boy who has a brain tumor and even though he has had over 30 treatments of radiation he is in good spirits as children usually are . Tyler is so optimistic his friend often visits him by sneaking in through the window, watching this film you can't help but being taken back to the days of your youth, remember them times when you were full of dreams, trusting the future would be bright. This is a family movie which is inspired by a true story, it is both funny and inspirational. A lot of questions are asked and answered from a young and old perspective. Tyler shows a lot more patience than most adults do in their life time. The film brings out the problems that face Tyler, his family and friends and people in his community in general who have to deal with their own problems. It shows alcohol addition with the will to break the habit anger, frustration and community spirit. This film has a great sense of humor with great acting. It is easy for me to identify with Tyler because I spent 3 months in a coma and 11 months total in hospital as a child. The bible speaks about becoming as children we can learn about children by watching this movie I would encourage people to watch this film it will bless you. Wales is about to be blessed with a visit from the African Children's Choir who will be singing at the Barry Memorial Hall Theater on Saturday 22 March 2014. The choir is well known for their song 'Sing' which was released for the Queen's Diamond Jubilee. In 1993 they were nominated for a Grammy Award in the best Gospel Choir category. They backed Michael W Smith on his album A New Hallelujah, which is an outstanding CD. The accolades accredited to these children is inspiring to all when you realize that these children are very young and come from a third world country with nothing handed down to them in life. These children bring joy to the hearer they will uplift you with their enthusiasm, the bible says 'its better to give than receive', these children sing with all their hearts. If you get the opportunity to hear the choir you will be blessed. When Jesus was on the cross it the bible states He cried "it is Finished" this is found John 19:30. Did Jesus mean that He finished his work as he stated in John 4:34. In other words was Jesus letting us know He carried His own cross and we must bear our own cross. There is a verse in Matthew 20:23 Jesus spoke to His disciples and said you will indeed drink of my cup. In this statement he was referencing to a personal suffering, which can be recognized by reading Matthew 26:39 which Jesus ended by saying "Not my will but Thy will"
You might wonder why I'm quoting such scriptures. The reason is many people teach a lot of different doctrine but the bible says we should all be on one accord. How can this be if most doctrines contradict other doctrines, could it be because people are teaching when there not called to teach. I would rather be approved of God than put in a position by man. When Paul wrote his epistles he started by letting His readers know his calling and position was from God. He even said follow me as I followed Christ. How many people in ministry could say that today. God loves us so much we can do anything, He understands it and in fact ordained it so we don't have to worry about anything, live as you please. 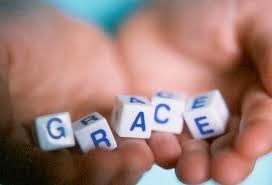 Do not be commended by people Gods Grace will cover all It a free gift called Grace (Unmerited Favor). This camp would be more of the prophets of God and True Apostles who understand God voice. a) Eat of any tree but do not eat from the tree of good and evil. b) Believe in your heart and Confess from your mouth. You might think I choosing a few scriptures to justify what is being written, but have you ever thought we might have a wrong perception of the word GRACE. What do I mean, did you know that the bible says in James 4:6 'gives more Grace' surely if you can get more grace then a person can have less! Therefore I state that Condemnation is only for people who walk contrary to the word of God. In other words if we are seeking God with all our hearts, then conviction will help us grow more like Jesus and condemnation will not affect us,it says in Romans 8:1 to them that walk after the Spirit so condemnation is for Christians who yield to the flesh. 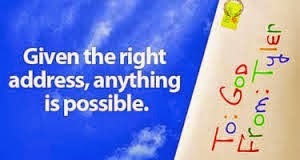 This can be proved quite easily by yielding to God! can this be done is it possible for us to walk right with God or not. 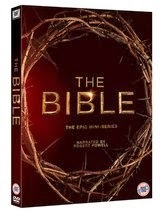 It is always good to see the bible visually many people have stopped going to church or reading the bible so it was a nice surprise to watch the bible come to life on Channel 5. It was not 100% accurate, never the less to cram the bible into under 10 hours is an enormous task. Genesis to the Acts of the apostles it was captivating for anyone weather a believer or not in the bible. It was good to see an Asian and black angel which to me was an outstanding fact that people of many different looks help to bring an authenticity to the series. Samson has always been my favorite character a man who stood alone trusting God would deliver him from any situation, but as Solomon found out no matter how physically strong a man is a woman can help to keep him strong or bring him to his knees. 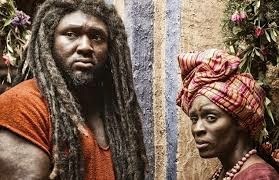 His character in these series was played as a Rastafarian which I found very interesting considering that Jesus in the west is usually portrayed as a blonde hair blue eyed 30 something. When Jesus came on the scene his love compassion and wisdom was evident. Was Jesus God in this movie it was shown that he was the Son of God not like us but a sinless person born of the Holy Spirit of God, who through his obedience to His Father paid the ultimate price for our sins, no one else could Have done this because no one else was born sinless except Adam. As Jesus ascended He had the right to send The Holy Spirit to us so we can walk as Jesus walked which was proved as the disciples picked up the mantle to spread the gospel to the rest of the world. It does bring to life the characters and how it might have been back in bible days it was a blessing to be able to watch the whole series without having to wait for the next episode.